In a nice callback to Queen Victoria’s dismal childhood cooped up in the joint, Prince Harry apparently feels “imprisoned” in Kensington Palace, hence the move to Windsor. Prince Harry’s jail is nicer than anywhere any of us will ever live. As many people with long years of royal service behind them have been at pains to point out to me in recent weeks, Harry, 34, is a grown man now and as strong-willed as his new wife. ‘Rather dictatorial,’ is how one source, who actually very much likes him, describes the prince. And while he loves his brother and his little niece and nephews, Harry is equally keen to move out. Not to appease his wife, but because he wants to escape the goldfish bowl of royal life for the sake of his marriage and his unborn child. 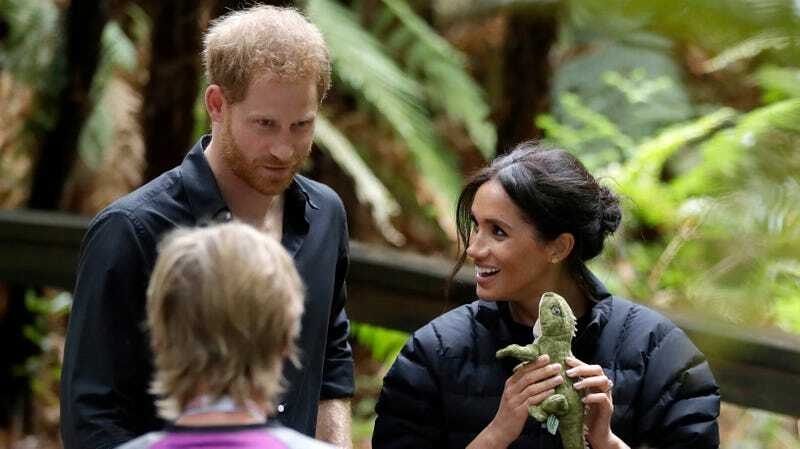 “Frogmore, which is inside the Windsor security zone [where the main house is only open to the public for a couple of days a year] is secluded, peaceful, tranquil and, most importantly, private. No one will see them coming or going,” a source added. Compare that to Kensington Palace, which of course sits smack in the center of London, surrounded by tourists and international news outlets; remember that this September, a “palace source” was forced to deny that a random woman walking a dog outside Kensington Palace was Meghan, despite a tweet by some vacationing local TV news personality from South Florida. Who wouldn’t want to move a recently renovated, extremely large “cottage” where it’s just you and the frogs?